Pure pork soft salami stuffed in hog bung with a particular delicate and flavored taste. 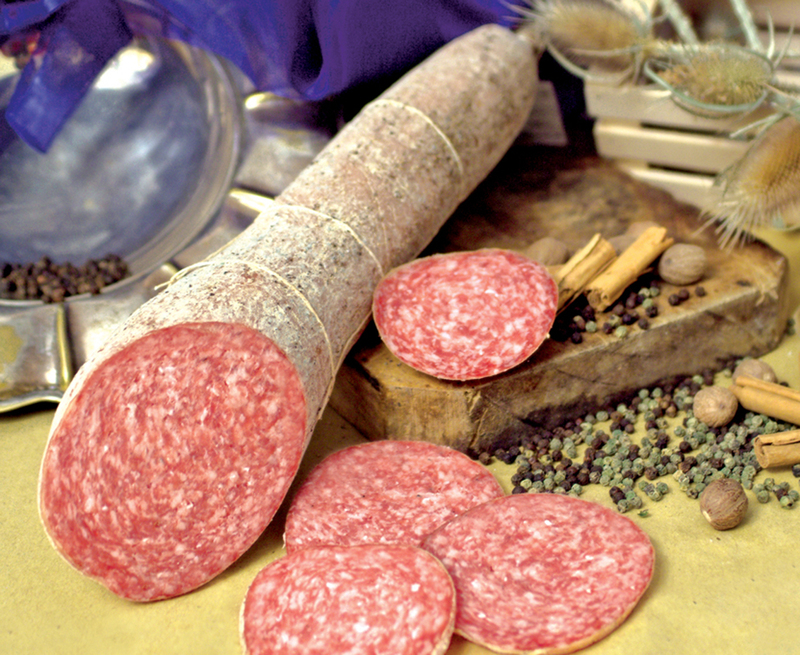 It’s a salami that can be consumed even medium seasoned, which enriches its sensory features. It is perfect for the typical antipasto all’italiana (Italian appetizers) served with green olives and pickled vegetables in oil.